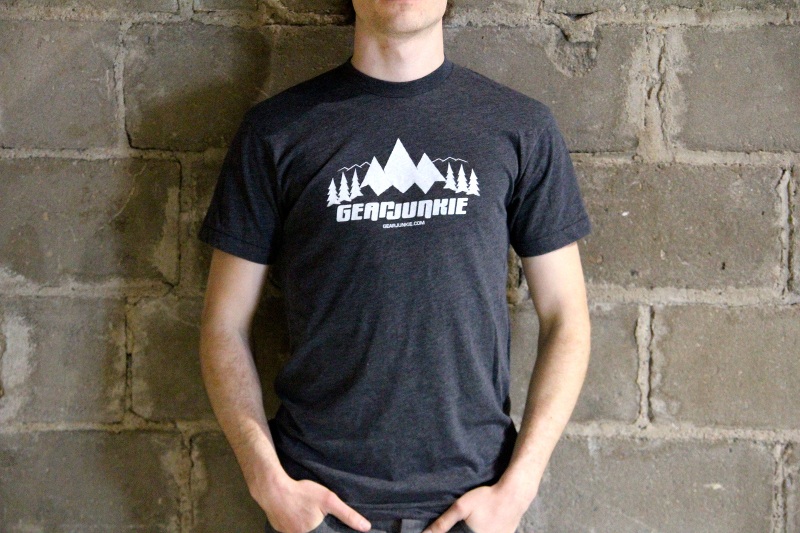 For Sale: New GearJunkie T-Shirts Are In Stock Now! Show your GJ spirit with our new custom T-shirt! Buy yours today, a limited quantity of the new shirts are now for sale at $16.95. With the help of Bigshot Robot we whipped up a batch of some of the softest, most comfortable T-shirts you can buy. They’re available now at our online storefront. The unisex shirts come in sizes Small through XL. The poly-cotton blend shirt, made by American Apparel in the USA, is a charcoal gray fabric with white print. Get your hands on one today! previous:Lighted Track Made Of Ice, Roaring Crowd. Bike Race Of The Future?